We are specialists in motorsport vehicle wraps and graphics. Our experience means we can help you create a stunning professional design for your vehicle so it looks simply fantastic on the track. Go the whole hog! 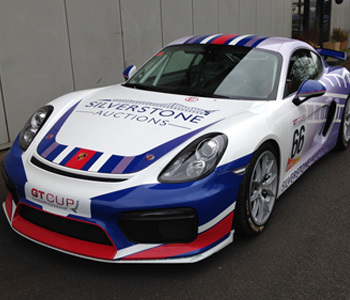 Whether you race or not, we can wrap every mm of your car in a superb sporty livery! It looks fantastic and won’t damage the paint underneath. We can provide sensitive finishing touches to your treasured vintage vehicle to give it an authentic retro motorsport feel. 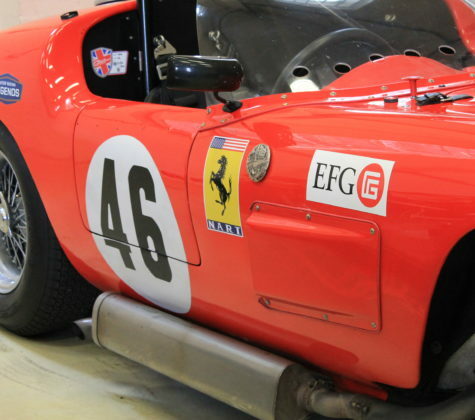 We understand that it can mean everything to a client to have their beloved race car restored to it’s former glory. Which is why our design team can recreate any historic artwork such as a logo or decal which otherwise would have been lost in the past. We can help you give your team’s vehicles a stunning track identity with full or part wraps, sponsor’s logos and numbers. Visit our gallery for more examples! Why not get in contact and find out what we can do for you? We promise we won’t hound you with calls and emails! Why not get in contact and find out what we can do for you? We promise we won’t hound you with calls and emails!